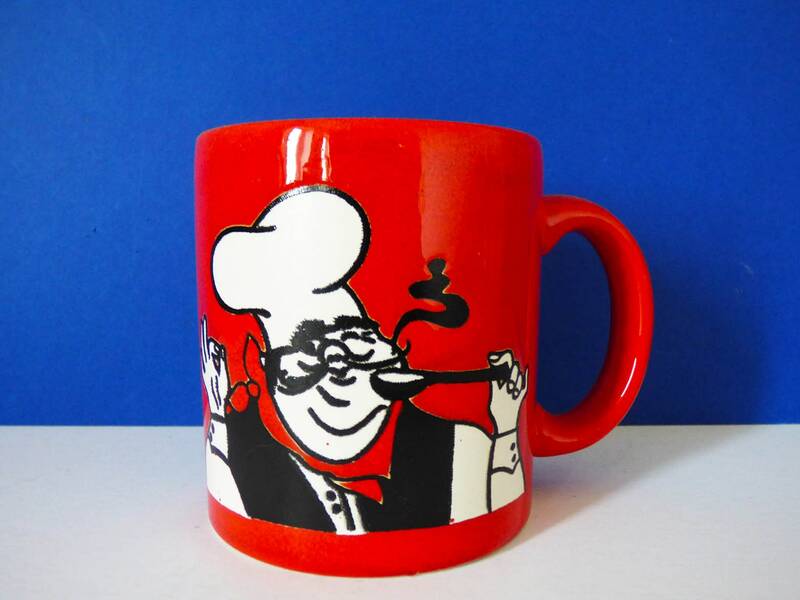 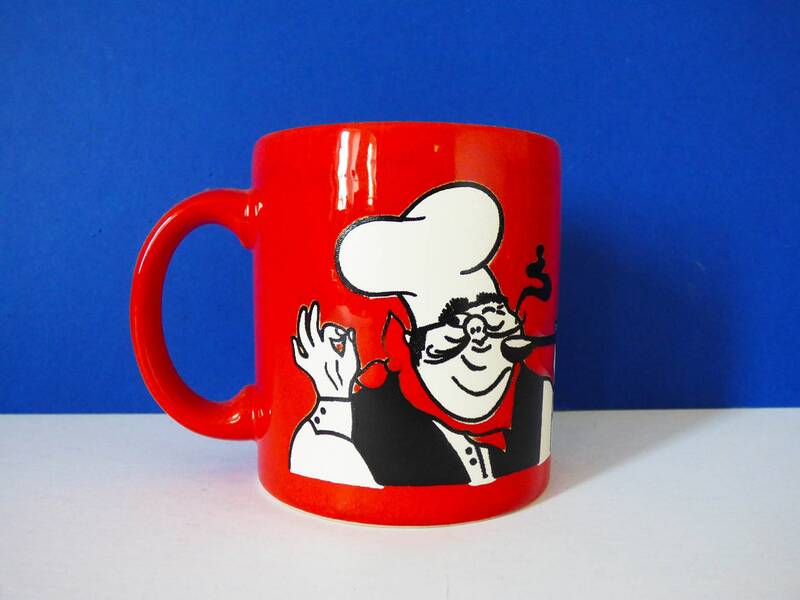 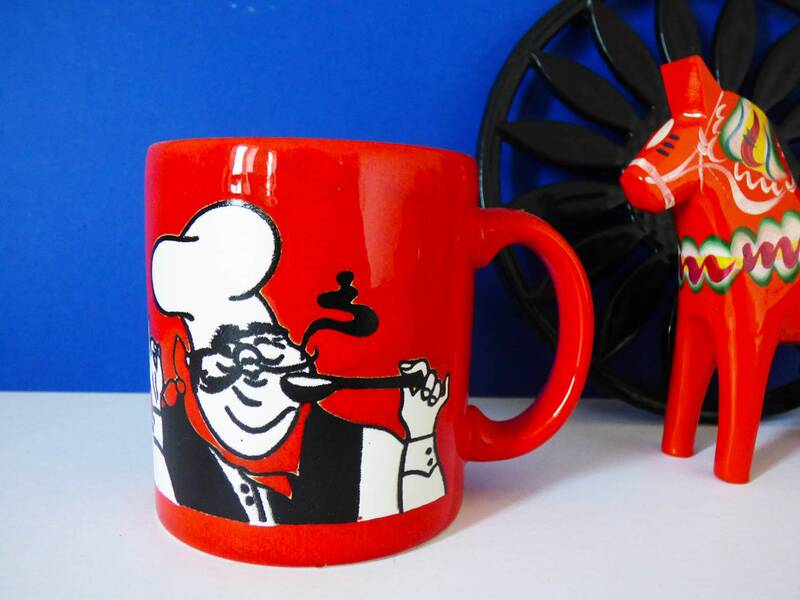 A lovely 1970's Waechtersbach potteries mug, with a super stylised chef, design, which wraps around the side of the mug. 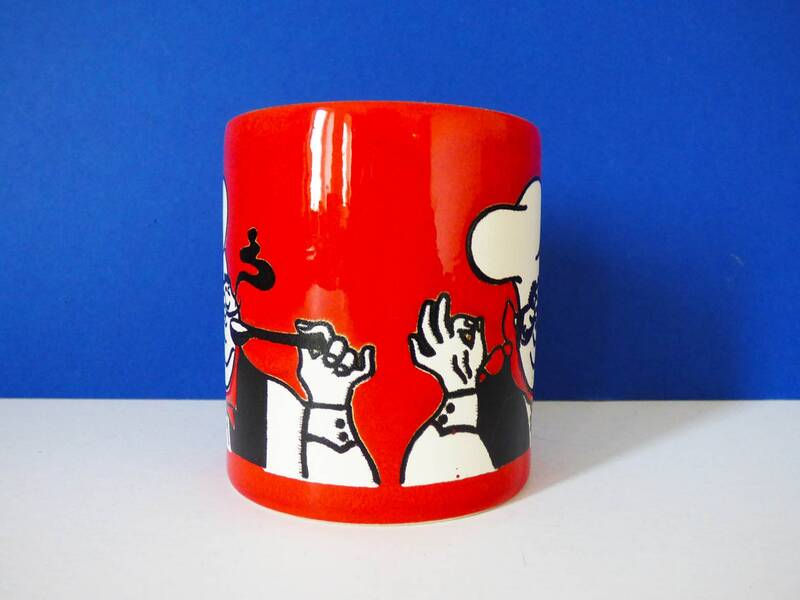 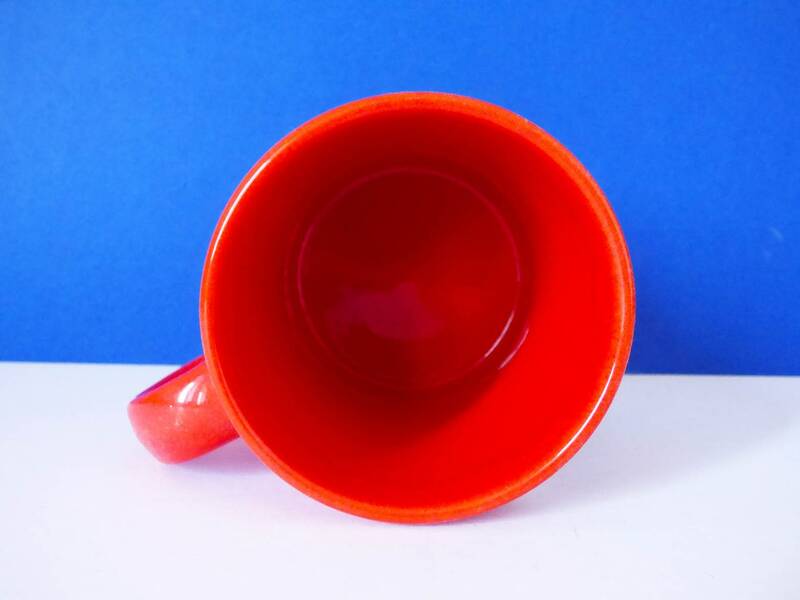 Produced in off-white and blue on a thick luscious red glaze. 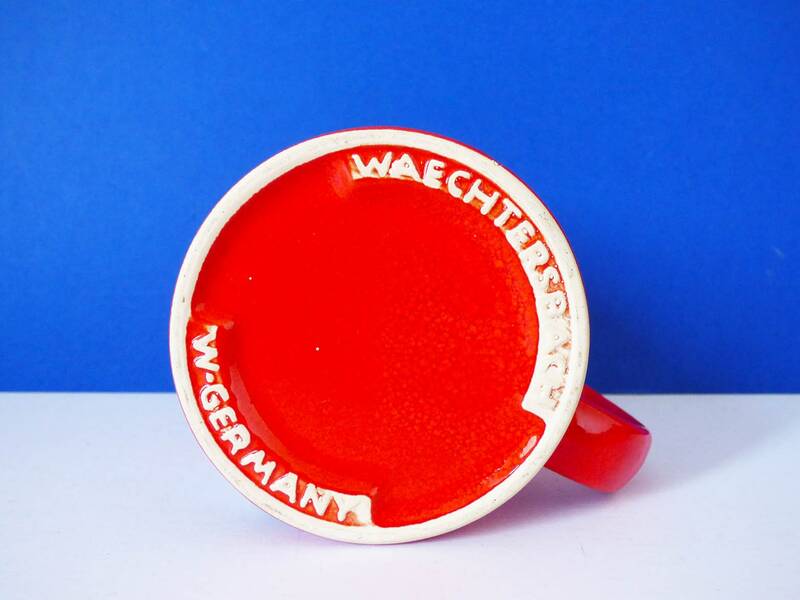 The mug measures 10 cm tall with a diameter of 8.2cm and it's in great condition, Marked to the base "Waechtersbach W Germany"
A great find. 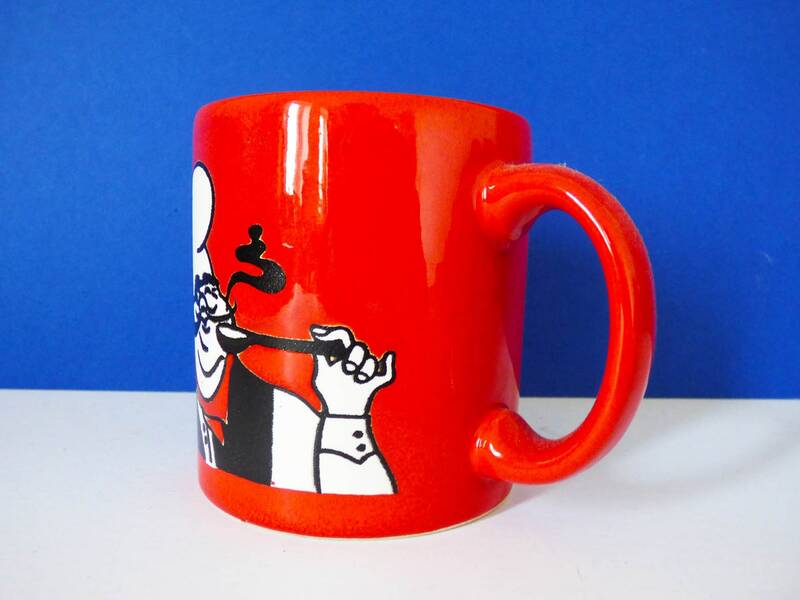 If you love Waechtersbach creations as much as I do take a look in the Ceramics section of my shop, I usually stock a few pieces.